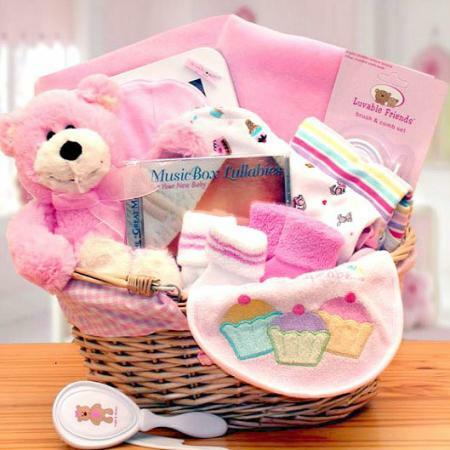 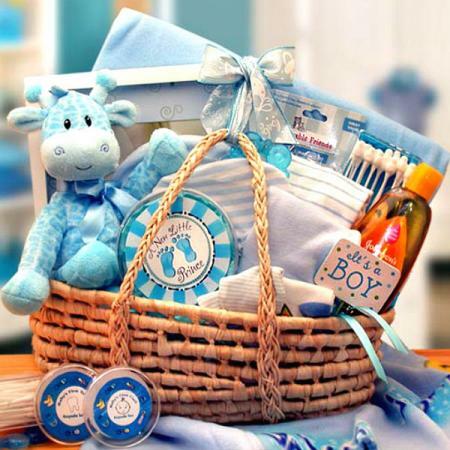 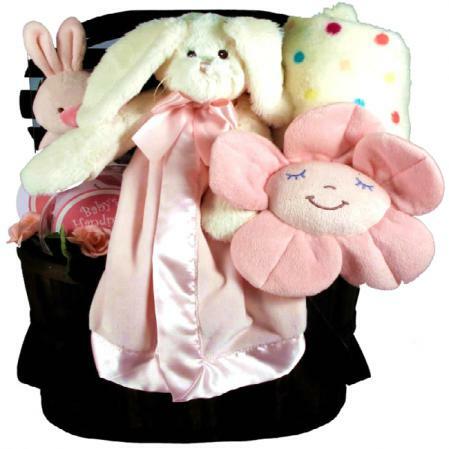 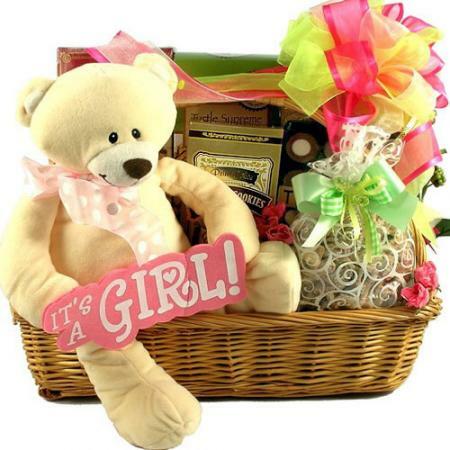 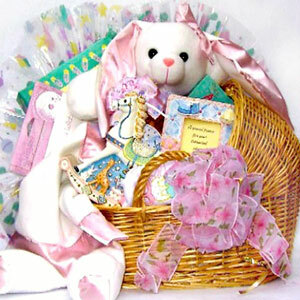 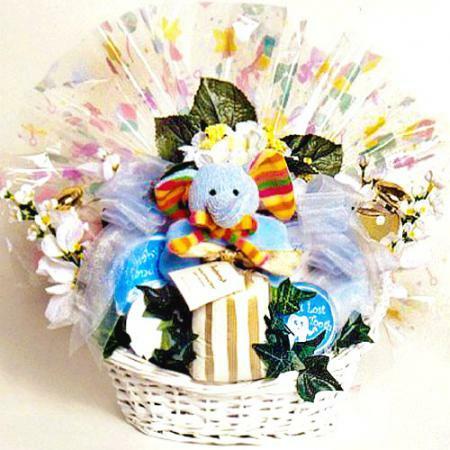 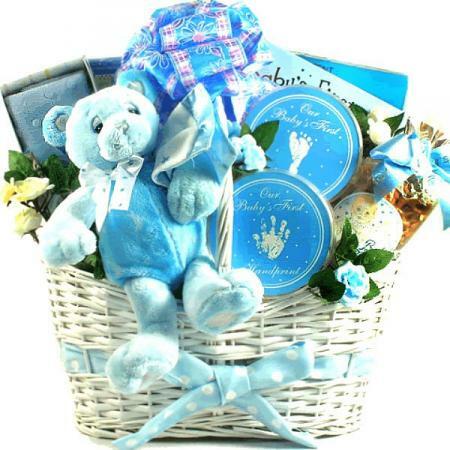 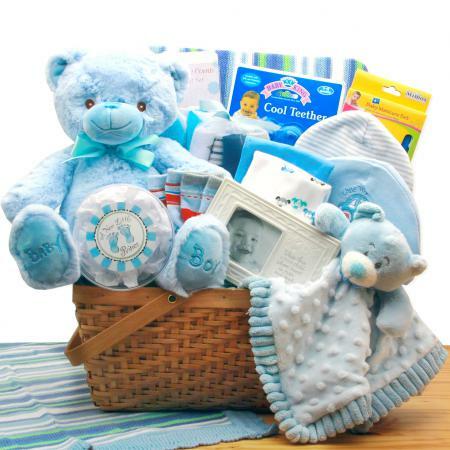 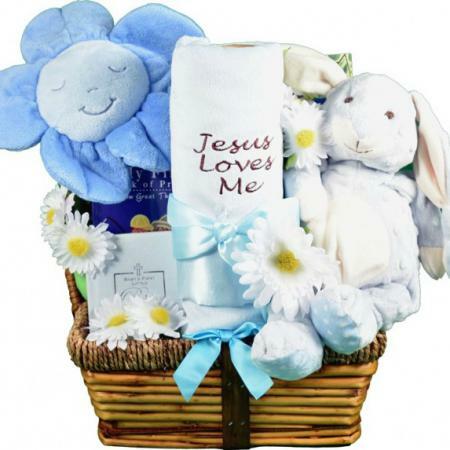 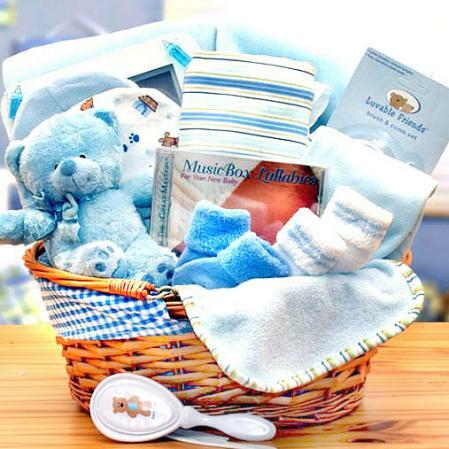 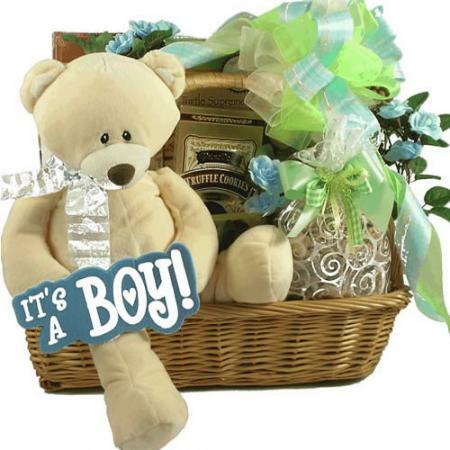 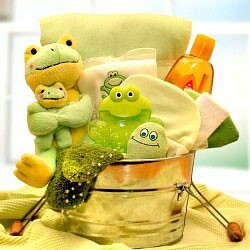 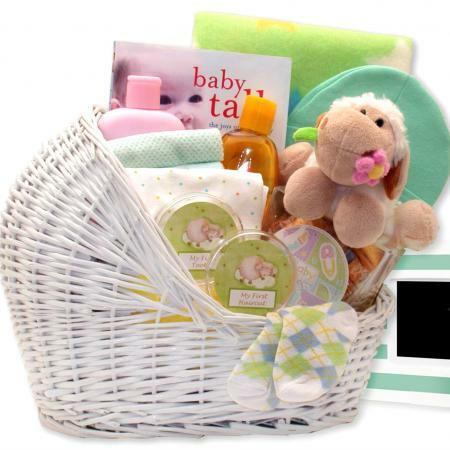 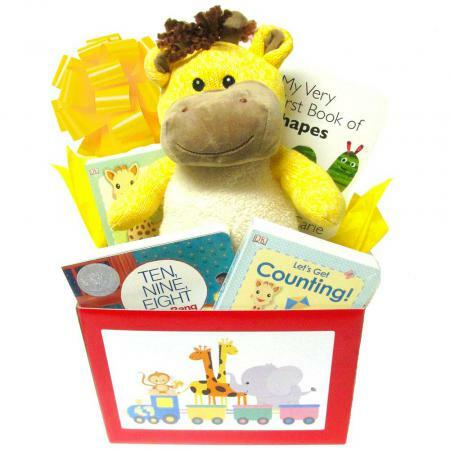 Shower the new baby with the perfect present; a baby basket loaded with baby soft cuddly duds arranged in a handy fabric lined hamper. 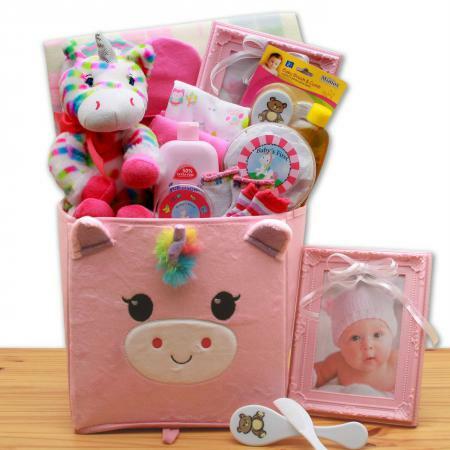 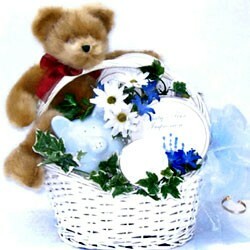 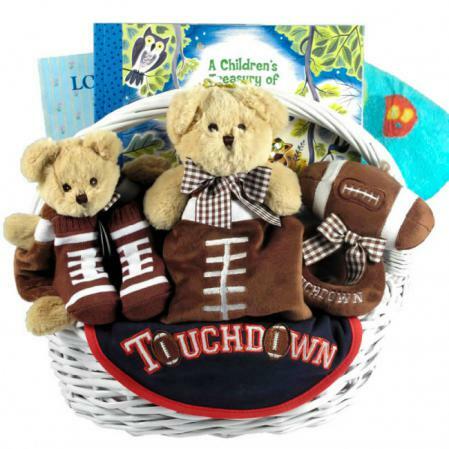 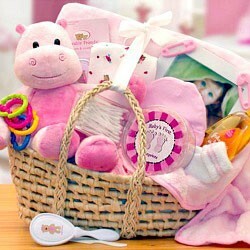 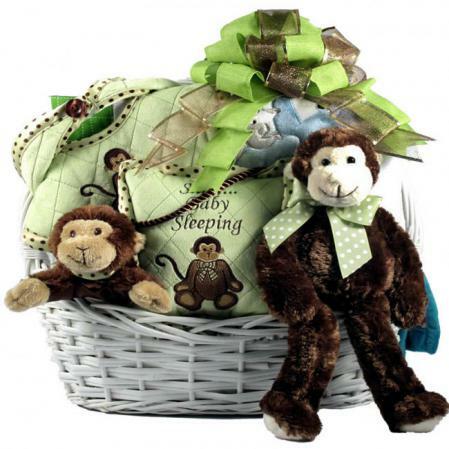 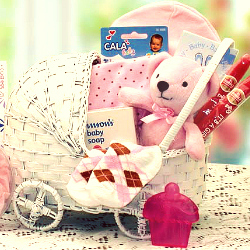 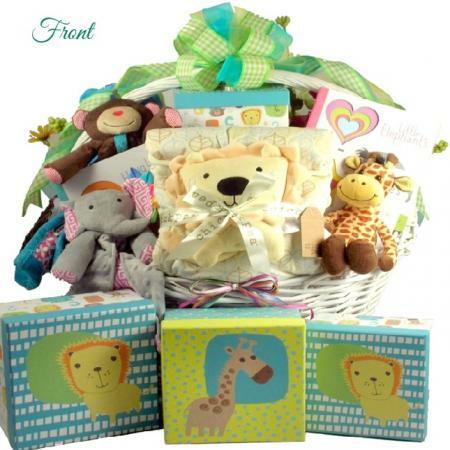 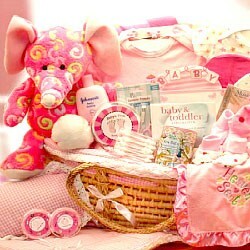 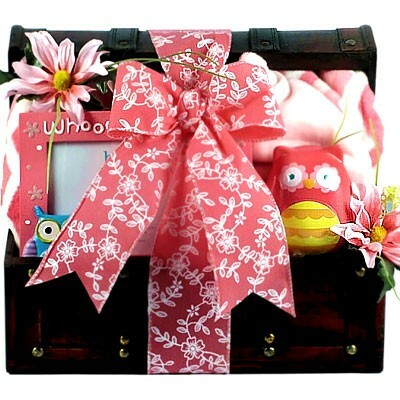 This sweet baby basket is a fabric lined storage hamper filled with baby gift items, and it's precious. 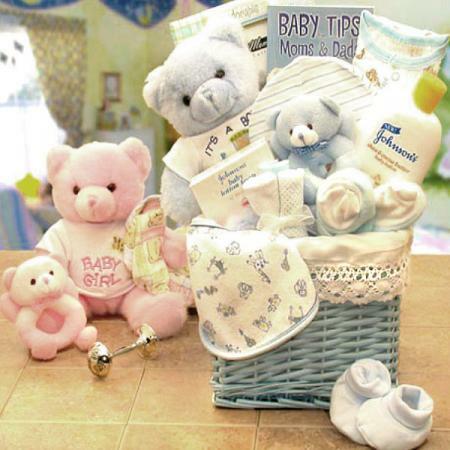 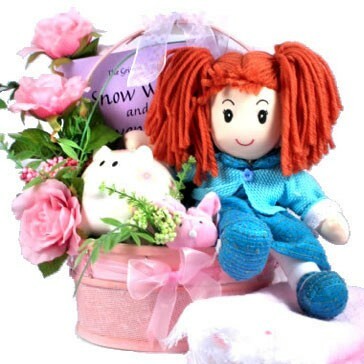 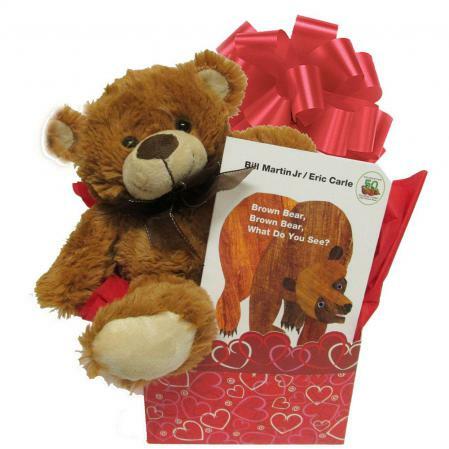 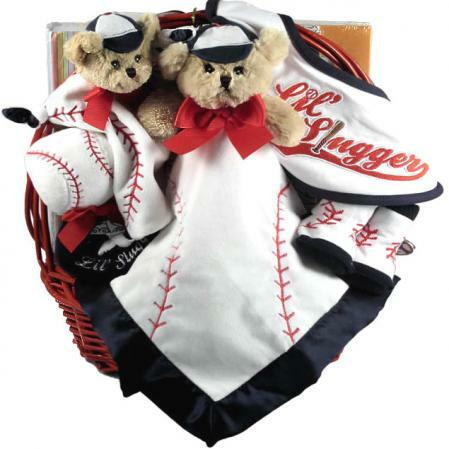 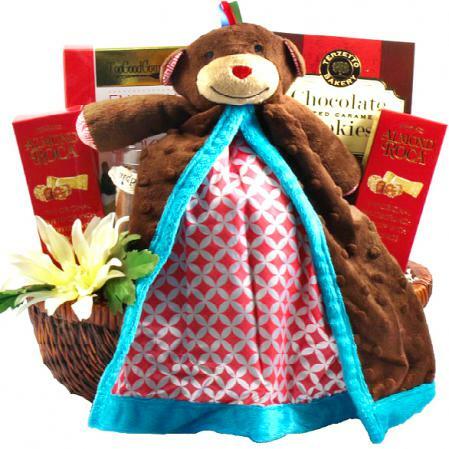 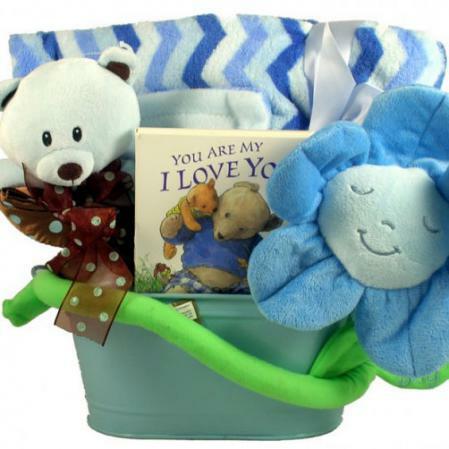 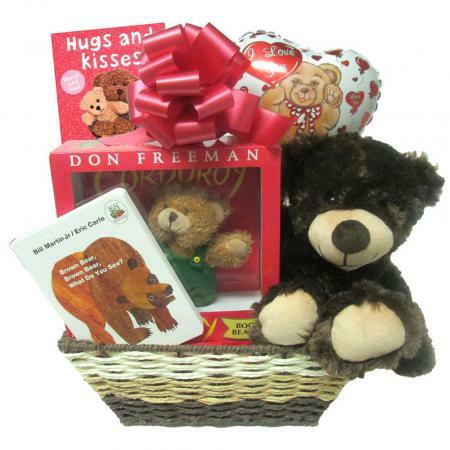 The gorgeous plush teddy bear delivers your good wishes along with cute baby clothes, tiny toys, and a baby picture frame. 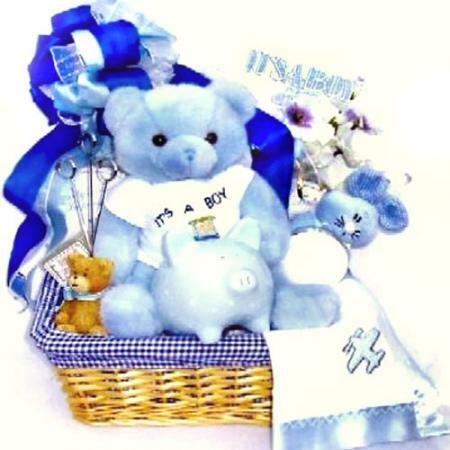 Available in pink for girls or blue for boys. 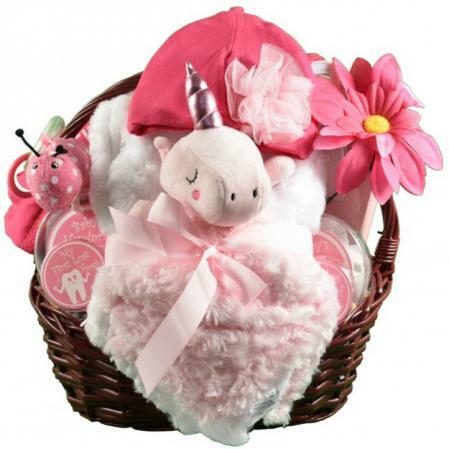 Select the desired color at checkout.